This is a 10″ / 32cm steel from Wusthof and as it is made from ceramic it will SHARPEN your knife. Ceramic steels have an abrasive edge to them which is what makes them sharpen as oppose to hone only. This model is the 4455 10 inch ceramic steel from Wusthof and has a coarse grit on it. The 4456 model has a fine grit. Wusthof Ceramic Sharpening Steel Features. Ceramic sharpening steels are stronger than the steel alternatives. They are not as strong as diamond sharpening steels, but they do last longer as they will not wear down during use. Ceramic rods tend to give a slightly finer edge than diamond rods, due to being less coarse than diamond. The sturdy handle is easy to grip and is non slip, obviously an essential requirement! 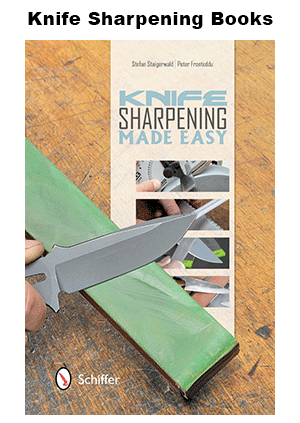 They sharpen your knives – not just hone. Ceramic steels can handle stronger knives. A good rule of thumb when choosing the length of a sharpening steel is to make sure that the length of it is longer than your longest knife. Be careful not to drop ceramic steels – they will probably break if dropped onto a hard surface!